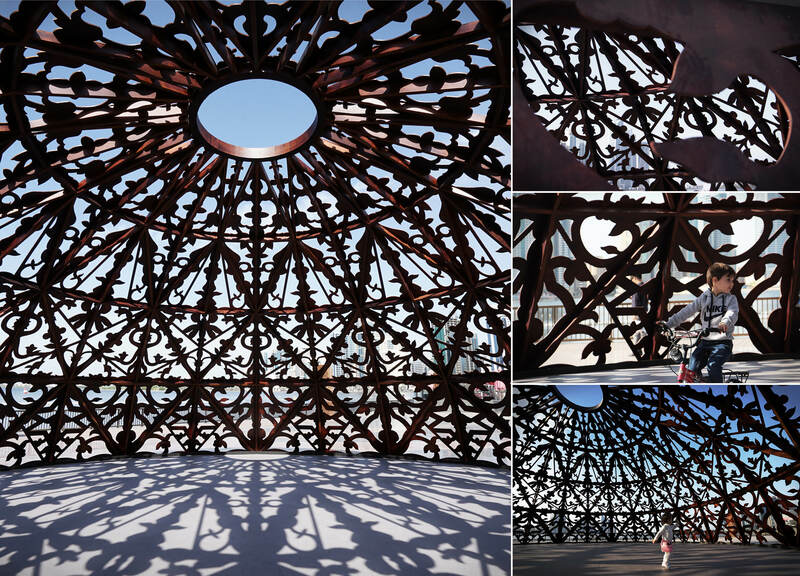 Floral Pavilion is a hemispheric pavilion made from plywood with texture paint. 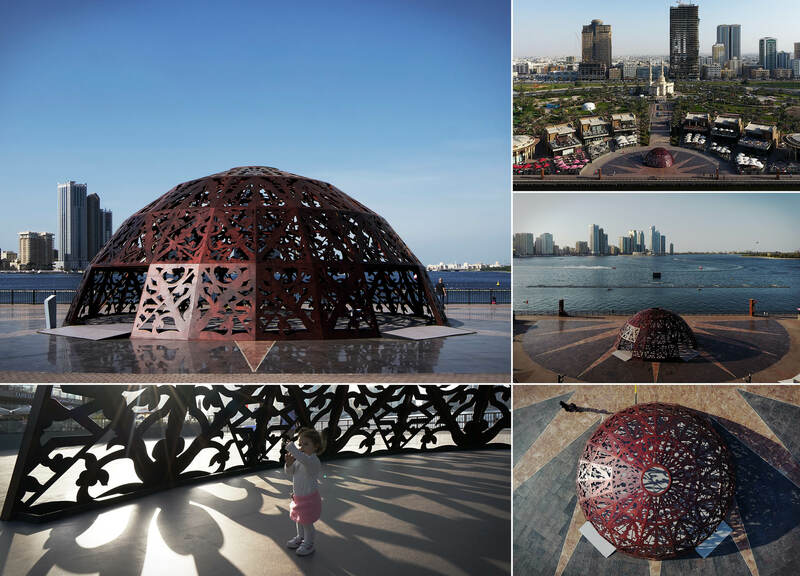 The pavilion extracted the geometry of traditional Islamic Carpet to form a hemispherical dome. 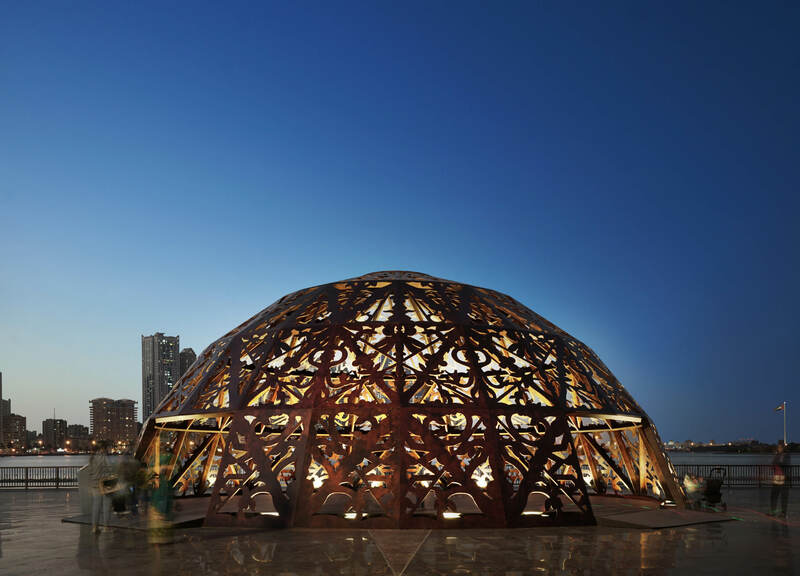 The pavilion constructed by a wooden frame structure consists of 120 pentagon components. Each component pierced part of the pattern design by using CNC router. LED stipes are installed at the edge of the pavilion which lighted up the beauty of the pavilion at night. In daylight, the hollowed pattern will cast on the ground and form a shadow carpet.